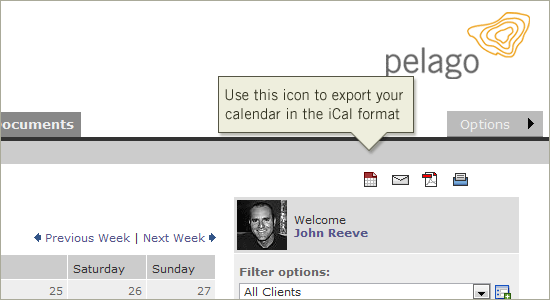 This week we launched support for the iCal format from the Intervals calendar page. Intervals users can now export the current calendar view to the iCal format simply by clicking on the iCal icon in the upper right corner of the screen. This will only export what is currently displayed on the calendar allowing users to customize which data they would like to export to other calendering programs. Users can now get their Intervals tasks, milestones and notes into Google Calendar or iCalendar on the Mac. In fact, any calendar program that has support for the iCal format should import Intervals data.